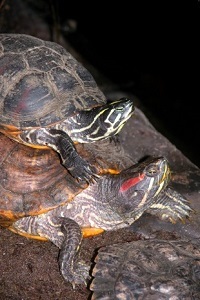 Habitat: Mostly in shallow waters with muddy or sandy bottoms. They nest on sandy beaches. Food: The Kemp’s Ridley sea turtle’s diet includes jellyfish, fish, squid, sea urchins, shrimp, clams, crabs, and mussels. 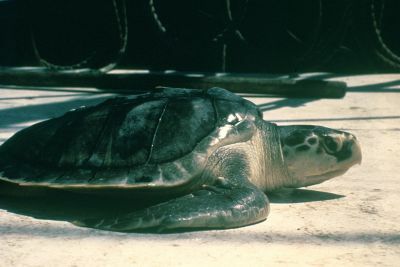 The Kemp’s Ridley adult sea turtles can be found mostly in the Gulf of Mexico. 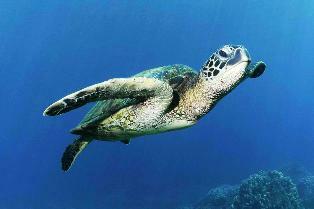 The juvenile Kemp’s Ridley sea turtles can be found in coastal areas of Canada and the east coasts of the US. They will nest up to 3 times a season and lay about 110 eggs at a time. The egg’s incubation period lasts about 55 days. There are approximately 2,500 nesting females.